Competing in a discipline so dependent on visually pleasing aesthetics where graceful skaters effortlessly flow and fly together across the ice under enchanting rhythms, Jamie Silverstein and Justin Pekarek looked like they were poised to break through. Hailed as potential future world champions by Paul Duchesnay, among others, the young ice dance team swept audiences off their seats during their incredibly short career. On paper, Yuri Ovchinnikov’s career doesn’t look too bad but he is barely remembered today. 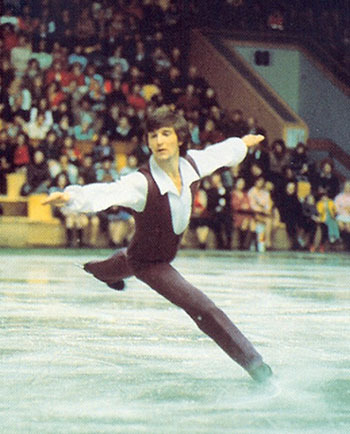 Being one of the emerging talents from the Soviet Union in singles skating during the late 60s and 70s, he won a bronze medal at the European championship in 1975, and made the top 10 of the world four times, often getting overshadowed results-wise by other soviet skaters including Sergei Chetverukhin (1972 Olympic silver medalist), Sergei Volkov (1975 world champion) and Vladimir Kovalev (1976 Olympic silver medalist and two-time world champion). What sports records omit from the picture was that Yuri was far ahead of his time, being born in an era when his talents were just not rewarded the same way they would have been at a later time – with his infinite passion and energy on the ice, innovative choreography, musicality and lyrical expressiveness, and huge jumps which left spectators gasping in awe, he was considered a “king of the free skate”.